Despite how foundational spotting is to solid dance training, it's probably one of the first things to go on autopilot. 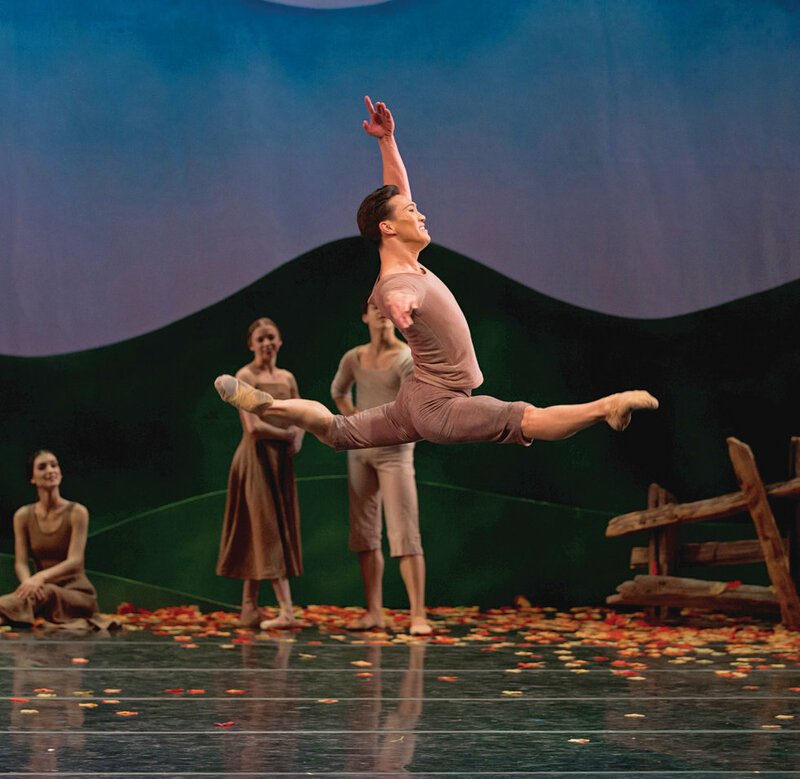 After all, as "So You Think You Can Dance" alum and current BalletMet dancer Jim Nowakowski points out, you've got a lot on your mind when you're turning. "You're thinking, 'Am I on my leg? Am I cramping? Am I pulling for 2 or 3? Is my knee stretched? Is my foot stretched?' " he says. Giving the old head-whip a tune-up might be the key you need to take you from a maybe-it'll-happen-but-maybe-it-won't double to the perfectly polished triple (or quad!) of your dreams. When she's teaching her youngsters how to spot for the very first time, Joanne Chapman, studio owner at Joanne Chapman School of Dance in Ontario, Canada, has dancers put their feet together and their hands on their waists as they stare at their own eyes in the mirror. Before she has them swivel their bodies around, she tells them "to see only their own eyes. We'll say, 'Don't look at anybody else's eyes!' " It may sound rudimentary, but actively concentrating on the pathway of your eyes can be a big help, says Miami City Ballet soloist Samantha Hope Galler. "A teacher of mine always said, 'Think eyes-eyes,' " she says, referring to the first focus of the eyes, pre-turn, quickly followed by the eyes' return to the starting position of the turn—beating the rest of the body's return. 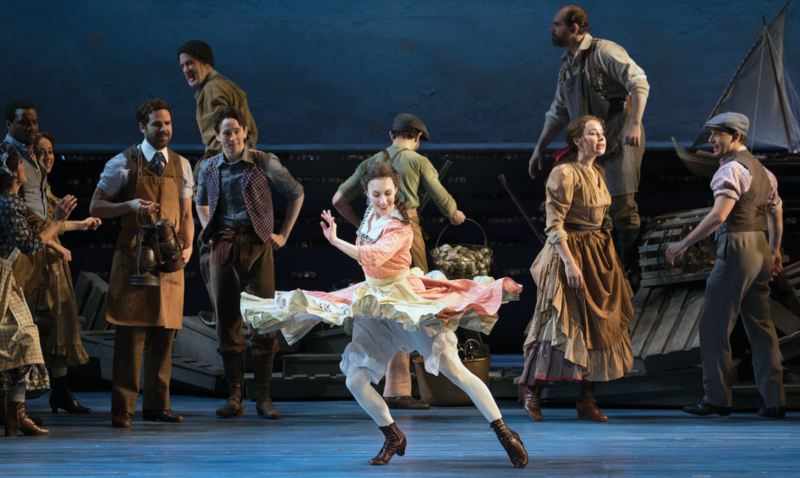 As a dancer in Broadway's Carousel last year, Skye Mattox had a particularly complicated turning sequence in the number "June Is Bustin' Out All Over." So she turned to the counts to help organize her spot. "When all the pirouettes happened, I could key into: The kick is on 1, and the head spot is on 4-5," she says. "I knew my head was coming back around to the front on 4 and 5." If you have a turning combination that requires changing spots, Nowakowski recommends planning carefully. "Know where your focus is going to be and where you want your spot to be," he says. "It could be, 'I'm spotting the corner, then two spots to the side, three to the corner, and another spot to the side. Know your mathematics!" Even though a successful turn requires organizing the body in a very specific way, remember not to hold tension in the head, neck, or shoulders—keep them relaxed. When Galler first started with MCB, one of her most frequent corrections was not to force her chin down during pirouettes. "It was the first thing they caught," she says. "When I put my chin down, my neck and head go slightly up and forward, which makes it more difficult for me to whip my head around." After daily reminders from the MCB staff and a conscious effort to loosen up, up top, she's starting to finally master her chin issue. "When I'm relaxed, I don't hold tension in my upper body," says Galler. Even the best spotters can get discombobulated when they're staring out from the stage at a black void. Without your reflection or anything to focus on, how can you spot? The trick, says Nowakowski, is to do your research. "Every theater is different, so when I get to a theater and we have tech rehearsal, I'll see if I can spot something in the first few rows or find another spotting landmark." Chapman tells her dancers to look for the exit sign or the sound booth during competitions. "It's usually just above the judges' heads," she says. "That keeps them from dropping their chins, which can happen if they only focus on the front row." Galler relies on a red light at eye level that she's found exists in the house of many theaters. But even if she can't find a light, she knows she'll be OK if she just stays calm and centered. "If I just visualize myself doing it like I did in the studio and don't get nervous that there's not something to focus on, as long as I'm doing the same motion with my head and eyes, it should work," she says. Definitely don't let yourself get intimidated by the complexity of spotting. "It's really about just letting your head do the work it's been trained to do," says Mattox. "Sometimes I'll think, 'I'm not going for a triple pirouette—I just need to get my head around three times.' "
A version of this story appeared in the January 2019 issue of Dance Spirit with the title "How To Tune Up Your Spotting."